Last month was a awesome month for me. Finally the trip that my colleagues and I were dreaming about since last year came true! even if it's only for a night. We decided to go to Avillion Port Dickson (my second time here) because this is the best spot to chill and let it all out. 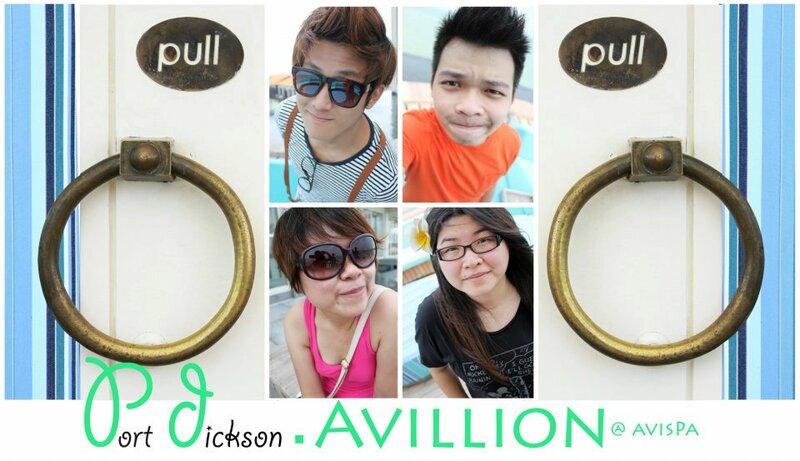 We wore colorful bright casuals for our beach trip. I have on a peach top and green shorts from Dorothy Perkins which I wore even to swim at the beautiful Blue Lagoon beach (the best beach in P.D). Can't believe I hang out with a bunch of "kids" nowadays. I mean how old am I? I definitely manage to hide my age thanks to many creations out there like anti-aging skincare. However does applying anti-aging skincare counts as enough? My friends has been talking about collagen drinks, firming drinks, youth drinks that you can find in the market now. I personally tried drinking one or two brands which left me almost vomiting it out (particularly the one that smells like fish). Since then I have a phobia towards drinking these kind of drinks until I tried an oral skincare in powder form called Beulisse. Beulisse reminds me of Avi Spa, a luxury spa in Avillion Port Dickson. 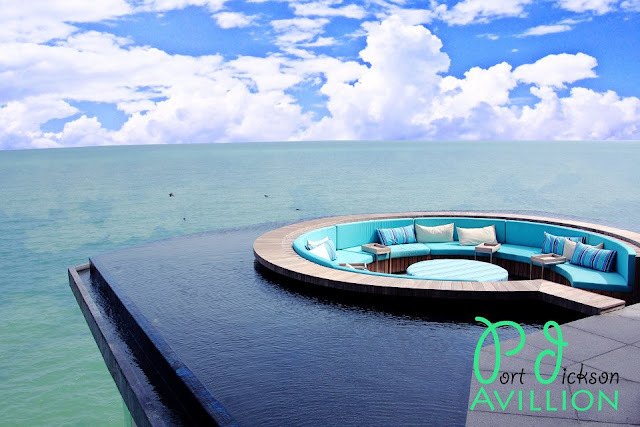 It's situated on top of the water stilts overlooking the sea. This place has a beautiful marine like setting, bright and fresh with blue and green color tones. It's no surprise there's a connection between the two because one of the main components is marine essence! 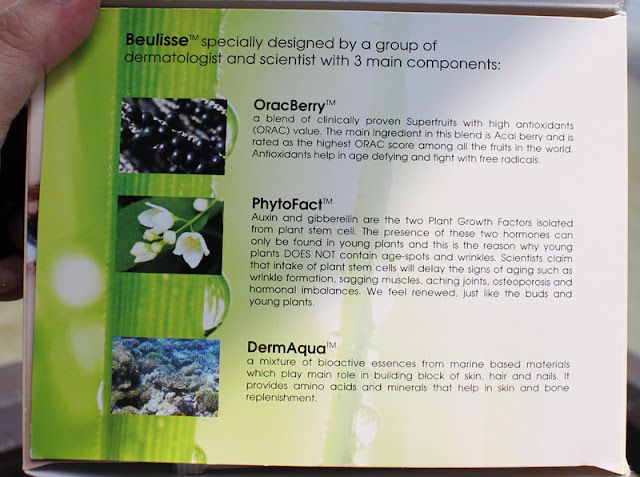 Beulisse™ is the FIRST oral skincare product in the world with combination of superfruits, plant stem cells and marine essence. These promising ingredients work synergistically to rejuvenate and replenish your skin and body. question: is this halal? yes it's halal certified! how does the powder form look like? almost a month of taking Beulisse, check out my skin! I was on a month's programme taking Beulisse on a daily basis. They're easy to carry and you don't need to worry about breaking it. 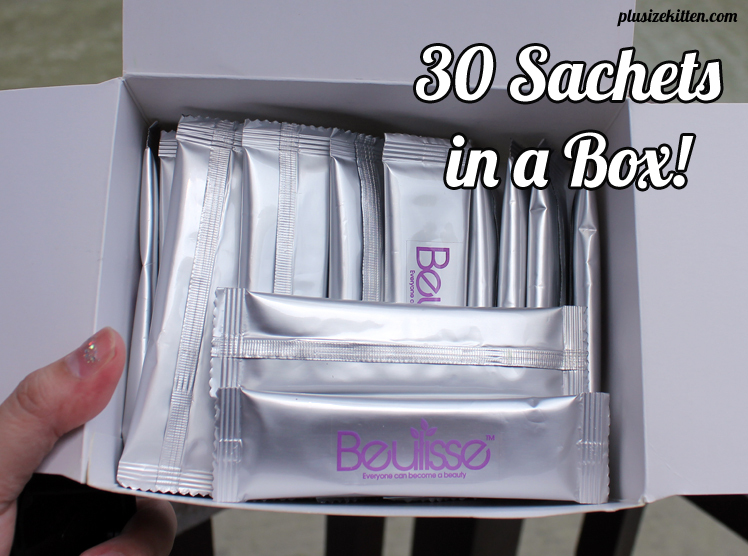 I carry two sachets a day in my bag and take them before breakfast and before bedtime. It's a powdery (granule) form of oral skincare intake, which I prefer more than drinking liquid skincare. There's no smell and it tastes sweet like a mixture of dried acai berry powder with fiber. Just cut off the top part of the sachet and into my mouth at one go (no need to mix with water). I like to drink a glass of water after taking it. Makes me feel good, in a way. I asked my friends to try and so far besides being sweet, one guy commented it tastes like cough medicine. Well it's a far cry from the nightmare fish collagen drink I drank. I vote for Beulisse instead which has been working well for my diet. I feel my bowels actually become more consistent and my nails not so dull like anymore, probably thanks to the marine essence ingredient. However the effects are slow to start which I figure is about right? if this works like instant there's something wrong somewhere. I see my skin getting better after 3 weeks of consumption but wrinkles and lines are still there. According to the website, I would need to go on for more than 3 months to see improvements on that area. Is this a good product? well I think any oral beauty/skincare intake would improve your well being because in this stressful and almost damaging lifestyle we have, any supplements especially high in anti-oxidant will be your best friend. It will surely improve your skin, making you more beautiful with that healthy youthful glow. After all, beauty is not only taken care from the outside but also from the inside as well. In a matter of preference, liquid or powder? mine would be powder and I'm going to continue taking Beulisse because I believe the 3 main components will help me stay beautiful for a small price to pay. Cons: consistent and long term commitment for beautiful skin, taste may be subjective, may not prefer powder form oral intake. Powder granules can get messy, ants might come. What results I can expect from Beulisse™? The results are mainly depends on individual age, health conditions, diet, lifestyle, etc. Based on the clinical studies and feedback from our pre-launched sampling, here is the summary: (taken from Beulisse website, there's testimonials there to read from consumers). better sleep, improve general health especially on skin, hair, nail, bone. Weight loss and body shape firmer after the 3rd month. Acai (pronounced ah-sigh-ee) berry from Brazil already created a big buzz in the world over their rich anti-oxidant properties, now a beauty food featuring Açai is launching in Malaysia. 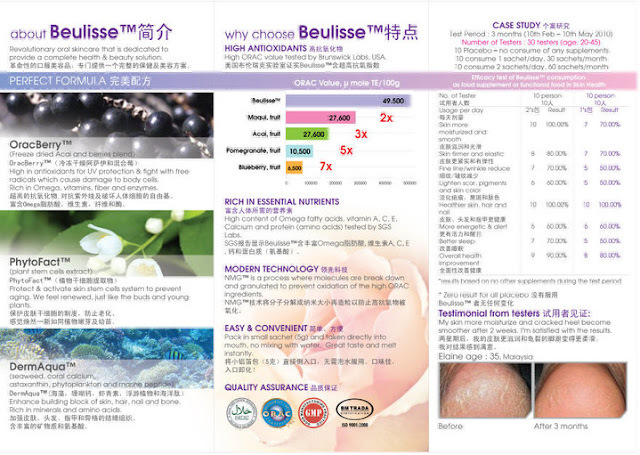 Beulisse™ is a revolution internal skincare product developed by Nutra Choice Sdn. Bhd. in collaboration with the R and D team in Switzerland. The potential of Beulisse™ to support beauty from within is derived from a combination of 3 special blends: OracBerry™, PhytoFact™ and DermAqua™. OracBerry™ is a blend of clinically proven superfruits with Acai berry as the main ingredient. The high level of antioxidants helps to fend off free radicals which damage the skin cells and provide UV protection. Acai has been clinically proven to contain the highest antioxidants among fruits and vegetable. Its amazing properties have been featured on Oprah Winfrey’s show, and in the Wall Street Journal and The New York Times. 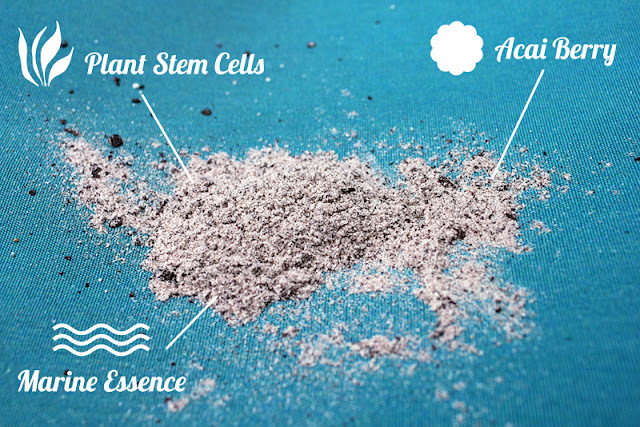 Phytofact™ is plant stem cells extracted from young buds to stimulate our skin cell system and delay signs of aging. DermAqua™ is a mixture of bioactive essences from marine based materials which play main role in building block of skin, hair, nails and bone. In addition, the company also incorporates freeze drying and NMG™ (Nanometer Molecule Granulation) technology into the formula. These processes are important to preserve the very high antioxidants and nutrients in Beulisse™. Beulisse™ is committed to high quality as evidenced by a few quality-control tests. The ORAC value (antioxidant capacity) is tested by Brunswick Labs, a leading laboratory specializes in the science of antioxidants in US. 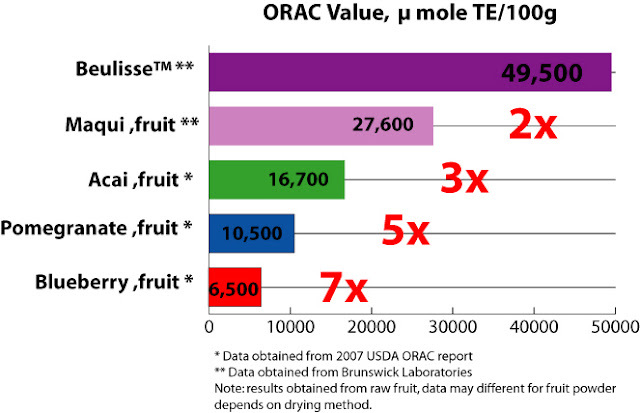 The results show Beulisse™ had ORAC value 49,500µmole TE/100g, which is 7 times more than blueberries, 5 times more than pomegranate and the highest among all the superfruits. SGS report also show that Beulisse™ is rich in Omega fatty acids, amino acids, vitamins and minerals. highest in anti oxidant value! "Body has the ability to heal itself with proper nutrients. We developed Beulisse™ to nourish the skin with everything it needs to fight aging and other skin ailments," said Jess Lin, Business Development Manager from Nutra Choice. The results from the 3 month case study show that Beulisse™ may help to combat the signs of aging such as wrinkles, sagging, dullness, dryness, etc, as well as nourishing the skin and enhance the collagen production. 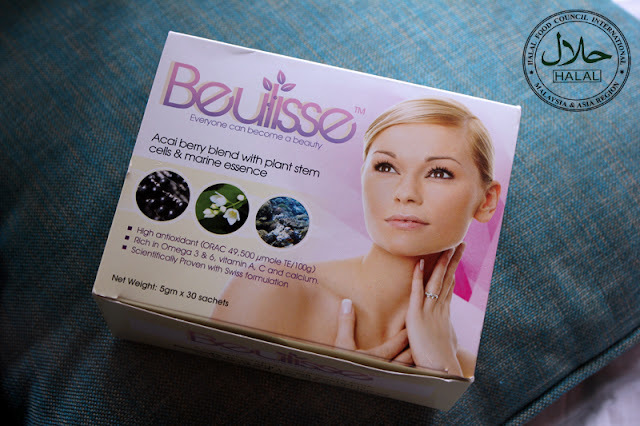 The retail price for Beulisse™ is RM145 for 30 sachets. 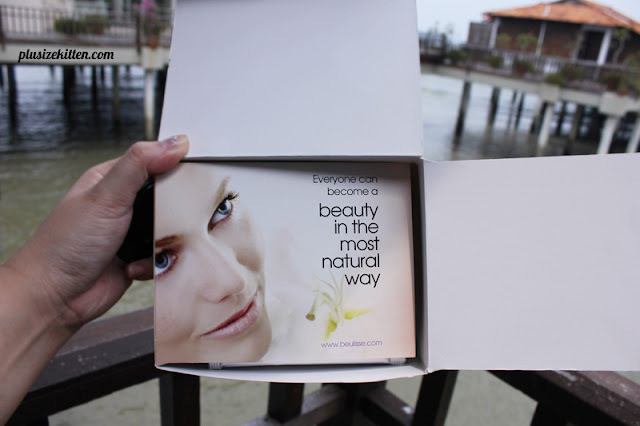 Currently the company is offering introductory pack of free 6 sachets worth RM29 with every purchase (while stock last). Visit your nearest pharmacies, SaSa outlets or www.beulisse.com to find out more about this product. Direct orally intake without mix with water, drink water after consume for better absorption. 2 sachets per day for first 3 months follow by 1 sachet per day for maintenance. Best take with empty stomach in the morning and half hour before bedtime. ohhh my gosh, that spa is super pretty!